Incorporating the “paper” element in a design is a common technique in making your work a little personal and customized. To achieve this, most designers rely on using paper textures and stock photos not just for getting the freedom in terms of its application but quality as well. Fortunately, we here at You The Designer will bring you another awesome freebie today to help you out in achieving that style and look in your designs. 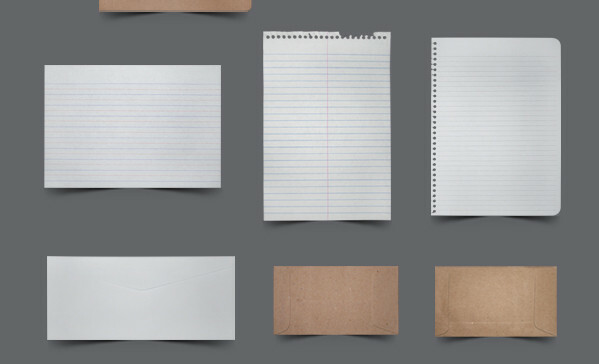 Today’s freebie features a collection of stock photos of papers, folders and envelopes that can be a nice companion in making customized designs for print like stationery, brochures and even in web design in a form of banners or headers. Download this set of stock photos. Just click the button below. [/sociallocker]Share us your thoughts or might as well tell us what other freebies would you like to see on our next posts by commenting below.